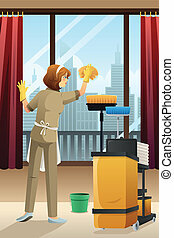 Cleaning lady making the bed in a hotel illustration. 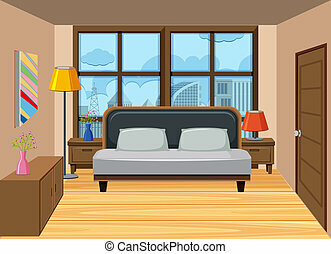 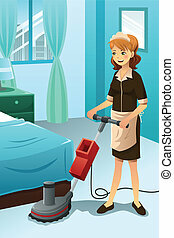 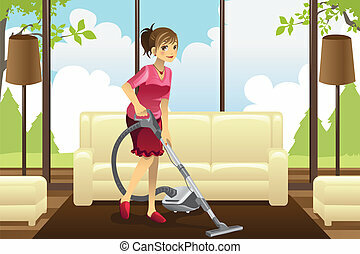 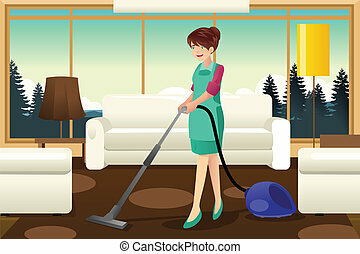 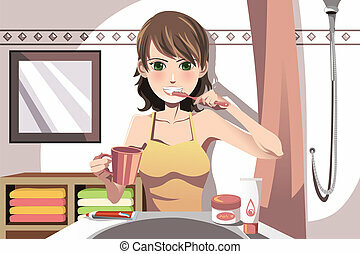 A vector illustration of cleaning lady making the bed in a hotel. 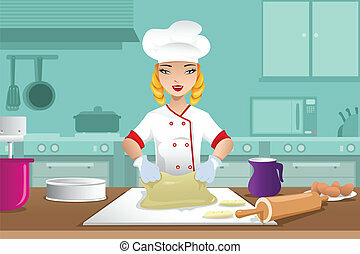 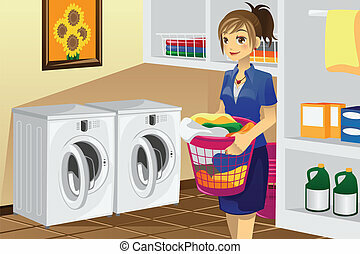 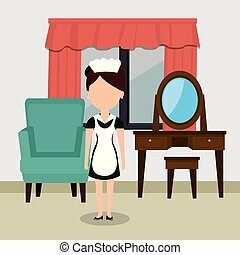 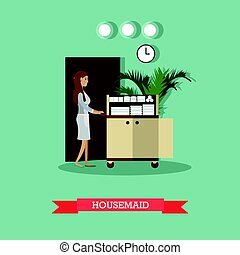 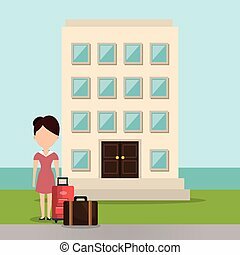 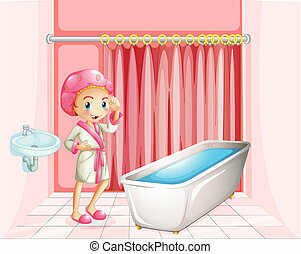 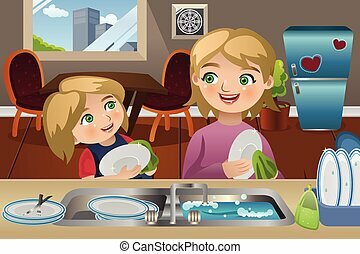 Hotel housemaid vector illustration. 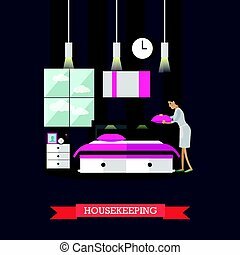 Cleaning lady or housekeeper pushing cart with clean bed linen and towels in flat style. 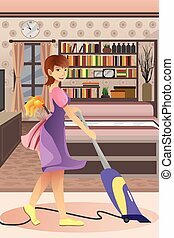 Lady with blond hair in a red dress does the shopping on sale. 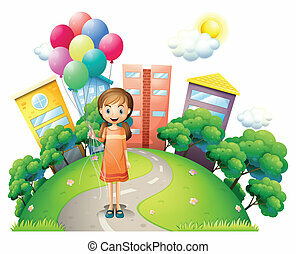 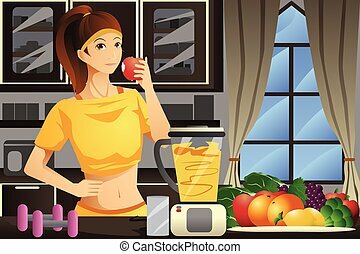 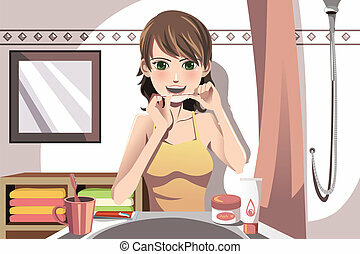 Vector illustration with free space for text. 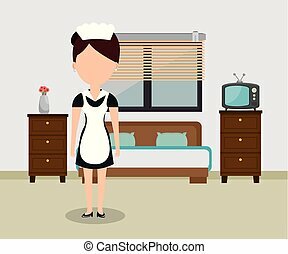 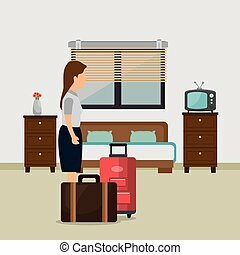 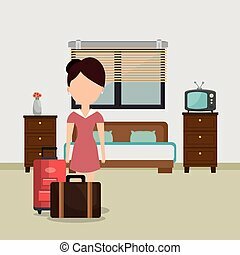 Vector illustration of chambermaid making bed in hotel room. 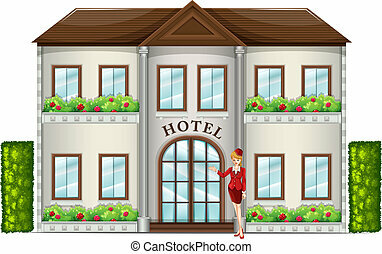 Hotel service, housekeeping flat style design element.